Long ago, the Blood Queen Vivian Nimue unleased a plague on England until King Arthur stopped her with her coven's aid. Arthur used Excalibur to dismember Nimue with her remains scattered across England. In present day Tijuana, Hellboy reluctantly kills missing agent Ruiz whose mission got him being turned into a vampire. After hearing Ruiz's dying words that the end is coming, Hellboy is eventually brought back to the B.P.R.D. in Colorado. Hellboy is then assigned by the B.P.R.D. 's leader Trevor Bruttenholm, his adopted father, to assist in the Osiris Club's Wild Hunt of three giants. 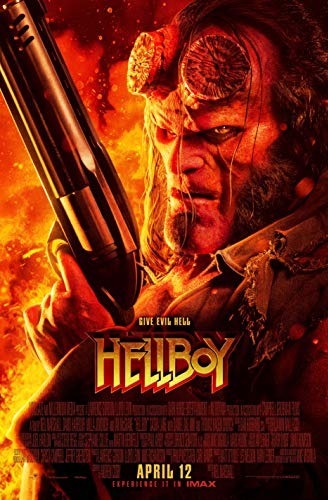 Hellboy is informed by club's seer Lady Hatton that Bruttenholm was meant to kill him when first came into the world as the result of the Nazis' Project Ragnarok.